A couple of months ago, we blogged about the prevalence of transaction laundering – the act of using a legitimate merchant account to sell illegal and/or illicit products or services online. A week ago, Facebook debuted its new app Facebook Marketplace, and received a first-hand education in transaction laundering when it discovered a number of illegal and illicit services advertised on its site: guns, illegal narcotics and prostitution among them. By the evening, the posts were removed and the obligatory housecleaning followed from the social giant, citing a technical issue. Forgive us if we sound unforgiving – that’s not our intent whatsoever – but we feel there is a massive upside to the Facebook Marketplace snafu: It has put the issue of transaction laundering on to a grand stage, displaying to millions of its users how prevalent it is, how quickly illicit and illegal goods can appear online and how easy it is for the fraudsters. It’s like that game, Whack-a-Mole, we used to play in the arcades when we were younger. When our merchant account managers come across a merchant website that just doesn’t make sense, we’ll air on the side of caution and politely inform them we have no solution. Low quality website design: A quality website is the first impression for a customer. Poor design and broken links could indicate the merchant was in a rush to go live. High ticket sales: Ridiculously high prices for goods a consumer can purchase anywhere. Checkout page redirects: If the checkout page of a merchant is on a different site, it is a red flag. No contact information: This is merchant services 101. 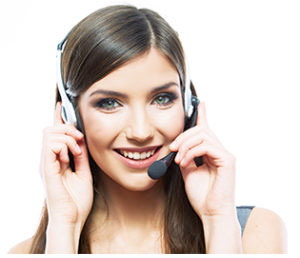 All legitimate websites have a phone number, e-mail and/or a live chat option. No social icons: Who doesn’t use social to promote their products/services these days? High chargeback rate: Certain industries have high chargeback rates, but this is certainly worth looking into. High rate of complaints: Conduct a search of the merchant. What are people saying? Frenetic behavior by the merchant: Is the merchant overanxious? In a rush to get his merchant account approved? When you’re selling illegal good and services online, you’re on the clock. We’re curious to hear other experiences with transaction laundering. Please share your comment below.